In recent years sanctions have become an increasingly popular tool of foreign policy, not only at the multilateral level (at the UN), but also regionally (the EU in particular) and unilaterally. The nature of the measures imposed has also changed: from comprehensive sanctions regimes (discredited since Iraq in the 1990s) to 'targeted' or 'smart' sanctions, directed at specific individuals or entities (through asset freezes and travel bans) or prohibiting particular activities (arms embargoes and export bans). 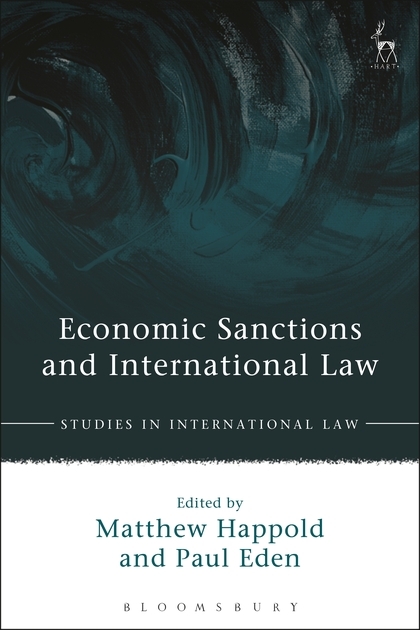 Bringing together scholars, government and private practitioners, Economic Sanctions and International Law provides an overview of recent developments and an analysis of the problems that they have engendered. Chapters examine the contemporary practice of the various actors, and the legality (or otherwise) of their activities. Issues considered include the human rights of persons targeted, and the mechanisms established to challenge their listing; as well as, in cases of sanctions imposed by regional organisations and individual states, the rights of third States and their nationals. The book will be of interest to scholars and practitioners of international law and politics. 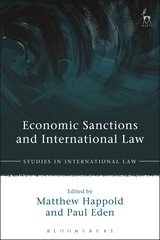 Matthew Happold is Professor of Public International Law at the University of Luxembourg. He also practises as a barrister from 3 Hare Court, London. Paul Eden is a Lecturer in Law at the University of Sussex.